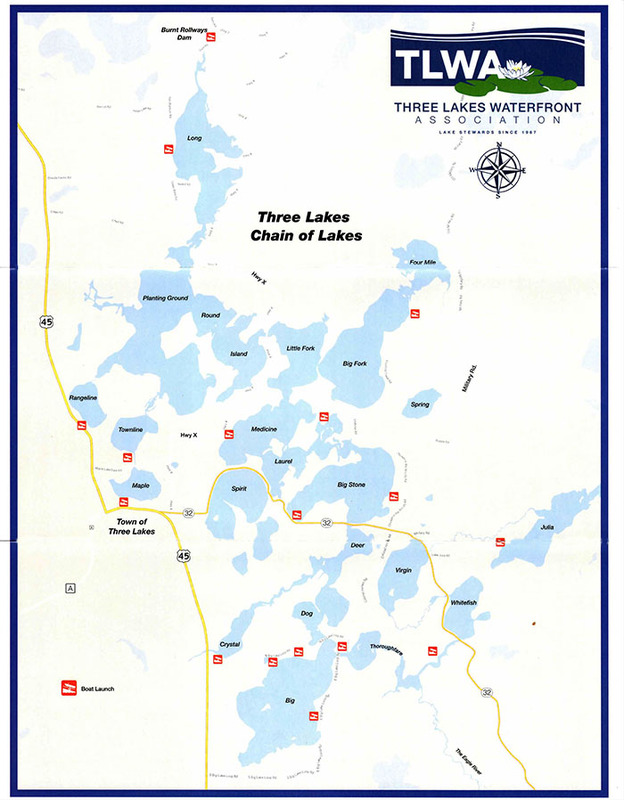 "Be proud to display your support for the TLWA with the purchase of these superb long sleeve T-shirts depicting the Three Lakes Chain of lakes and the official logo of the TLWA." The shirt is 100% cotton, available in gray only, sizes S, M, L, XL, 2XL, and 3XL. For a donation of $20 from members, or $25 from non-members you may pick up a shirt at Northland Clothing. All donations from the shirt program will go to the AIS Dive Team Project. A milestone which makes us one of, if not the, largest waterfront association in the state. 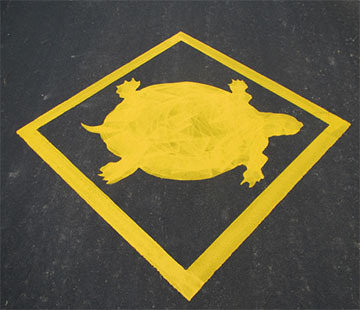 Volunteers from the Three Lakes Waterfront Association recently took to the roads of greater Three Lakes to mark areas where turtles frequently cross area roads to lay their eggs. 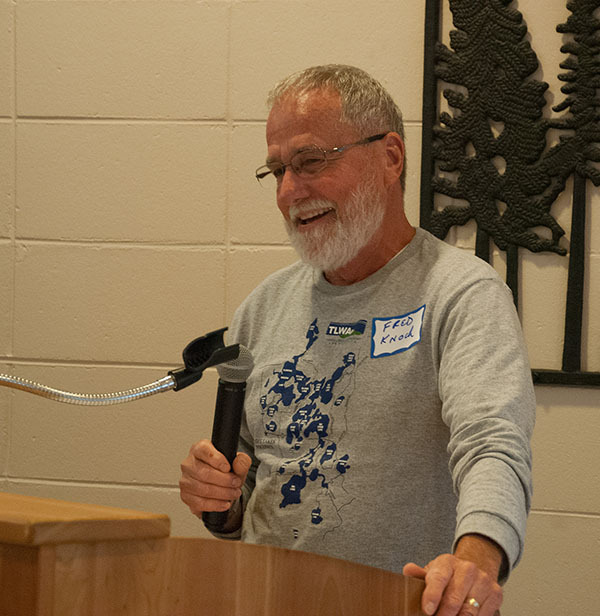 As part of the TLWA 50th Anniversary, volunteers from the Three Lakes Waterfront Association (TLWA) have made 1000 cedar plaques that feature the new TLWA logo. These plaques will go to association members, and are mounted on the street-number/address posts at their Three Lakes homes. 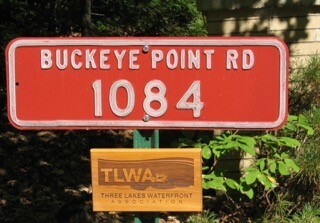 Each member of the TLWA will get one of these signs that were designed by board member Bruce Renquist. The plaque is a good way to show your pride of membership in an organization that works extensively to preserve and protect the quality of our waters, and has done so for the past 50 years! 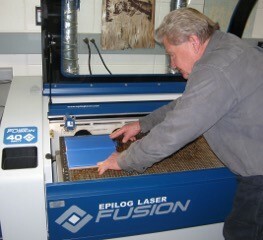 The project took place at the Fab Lab at the Three Lakes High School. 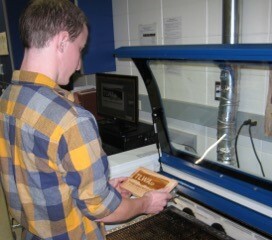 The TLWA is paid members of the school Engineering Club for help in making the plaques, and the club will use the funds for field trips. Additional help for this project came from Kwaterski Brothers Wood Products in the form of a 50% discount on the cedar materials. Disclaimer: The information on the Three Lakes Waterfront Association (TLWA) web site is believed to be accurate and we do our best to update the information and make any necessary corrections as soon as possible. However, neither the TLWA nor any of its officers, directors, committees, representative, or employees (all hereafter included within the term "TLWA") guarantee and/or warranty the accuracy of any of the information contained on this web site TLWA will not be held liable for any inaccuracies or incorrect use of the information contained herein. 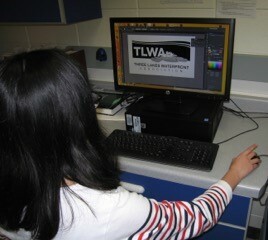 For the convenience of those using this web site, TLWA provides links to other web sites operated by third parties. TLWA will not be held liable for any information that may be found on these linked web sites and does not necessarily endorse the opinions, advice or services offered by such third-party web sites. As a condition of using this web site and the information contained herein, you understand and agree that you do so at your own risk.